Recently, my wife and I were lucky enough to be able to afford a unit in Hurlstone Park, which we moved into. It’s very close—like, in the back yard of—the train station. While sometimes noisy, it’s great because we both need the train for work each day and living so close allows us to get as much sleep as possible. And after three years of living essentially above the much busier Ashfield train station, it really wasn’t a big deal to move right behind another one. However, there are two things that are bothering me about the Bankstown Line train stop I find myself on. The first is something that’s more confusing than it is truly problematic. While the commuter trains don’t bother me at all, their noise being pretty reasonable considering how close they are, its the cargo trains that are absolutely deadly in terms of noise. There are rules, it appears, for commuter trains travelling at night, the time when most people are deemed to be asleep. They seem to travel slower, they become more infrequent, until they finally stop altogether around 1am until about 4:30am. This does not appear to be the case for cargo trains who seem to rocket through the neighbourhood at breakneck speed, the noise level of which is comparable to that of a low-flying passenger jet. Worse, unlike a jet which is noisy but travels quickly away, these cargo trains are absurdly long. They chug-chug their way past for what seems like an endless amount of time. Often, they come almost back to back, with three or four coming in the space of ten minutes the other night. Why are there no regulations on the speed and frequency of those trains, compared to the passenger trains? The latter travel much more quietly and, arguably, should be more common at night as people try to navigate back home. But–and here comes my second issue with the Bankstown line—the trains on a daily basis are much fewer and farther between. Frequent train cancellations, fewer trains—especially compared to a hub like Ashfield—and the impending closure of a number of stations on the Bankstown line are about to make life hell for those of us who live there. These metro cars better come every five minutes, otherwise they are going to become a completely useless congestion point where no one, on any line, can get anywhere. The government has decided to build a single-decker metro line instead to cover some of the ground, which will not help anyone. They also plan on permanently closing seventeen stations on the line, including trains no longer going to Redfern. Redfern—a major station that every line passes through! What’s the logic behind this? Oh, right, they want to privatise the metro. And the metro developer is also going to be a massive real estate developer, too. Because of course they do and of course they are. Public services were sold off under Baird, it only makes sense that Premier Berejiklian would follow suit. We can’t have music festivals, or power, or good trains, because those things are expensive and noisy and why would we want to make the government work for us? 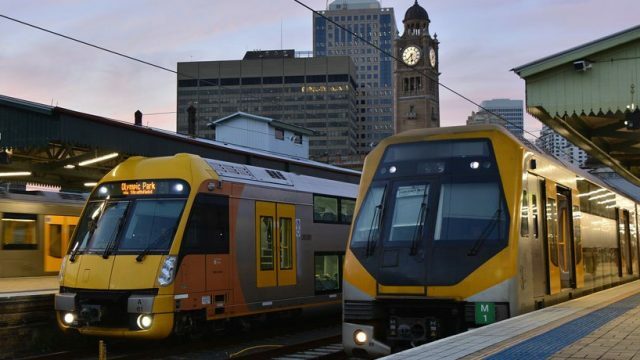 “This is not only poor planning, but a complete waste of money that should instead be spent on expanding the rail network to underserved areas,” Greens senator Dr Mehreen Faruqi said in 2017. Why would Sydney want to shut train stations? It’s similar to how it spent more than a decade building the Chatswood to Epping line, only to shut it down after less than a decade of use so that it could also be replaced by a goddamn metro line! These metro cars better come every five minutes, otherwise they are going to become a completely useless congestion point where no one, on any line, can get anywhere. To answer my own question, it’s because the NSW government doesn’t care. It’s never cared. They want to make money off of services in the very short term, rather than make this city into a world-class city priding itself on its public transit network. If they honestly and truly believe that replacing it all with metro lines, rather than increasing the number of trains on the line, will improve the situation, I implore them to remove their heads from the sand and look around. Try catching a train on that line. Try just…adding more trains. Stop dismantling what, instead, just needs a little fixing.